The entrance door is supposed to be serious. 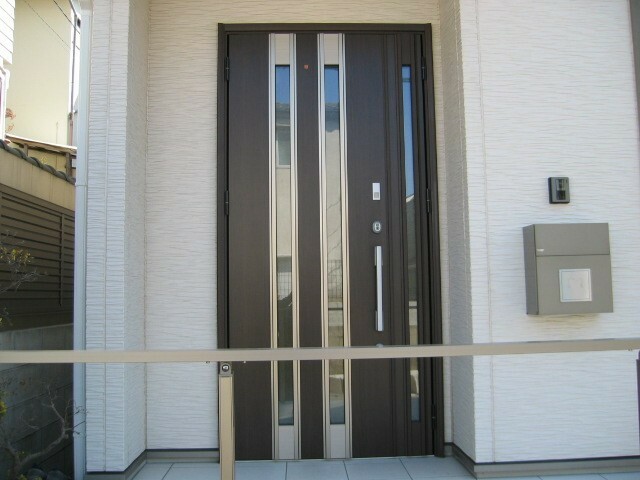 A metal door painted black. Even though it is a hinge type, it has elements of sliding doors. Moreover, although it is slow, there are even electric parts. I will not close if I do wrong. Explanation is difficult because of complicated structure. but a part of the door will be caught in the door itself. I almost caught on the edge. it probably will not be able to prevent it. I managed to properly close the front door properly. the woman of that bicycle is in the house somehow.